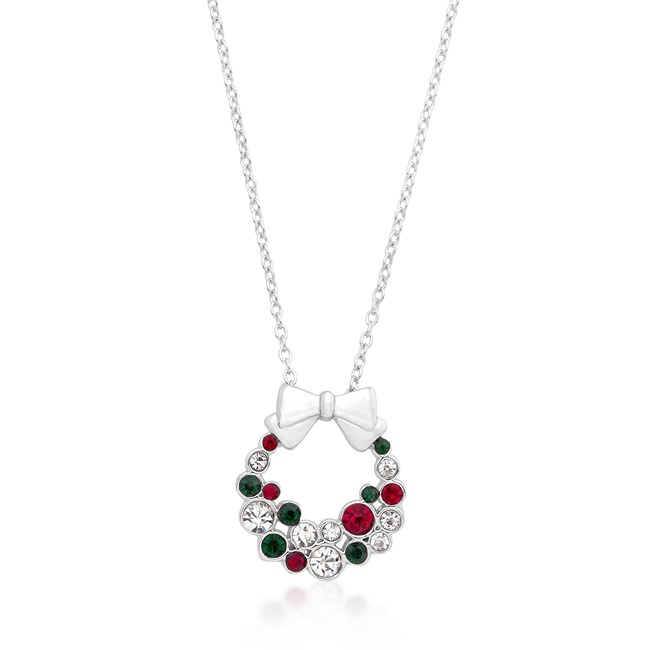 Spread holiday cheer with this colorful holiday wreath pendant. 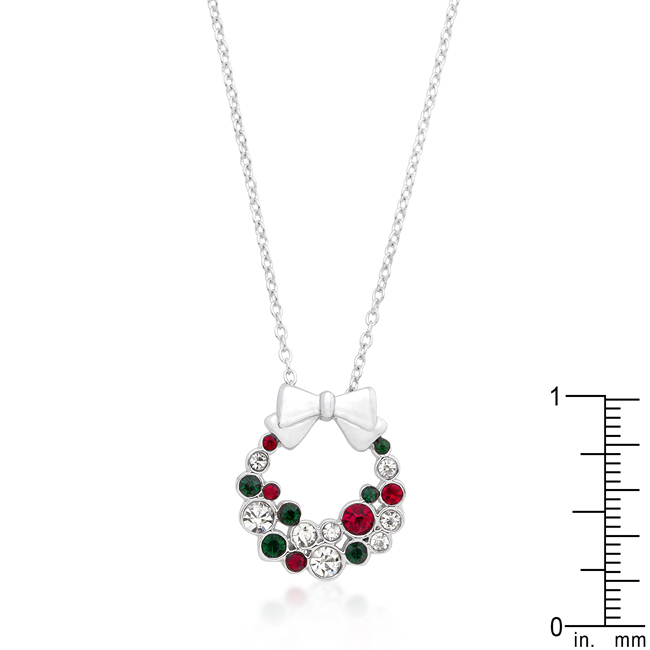 Fashioned in festive greens reds and clears it's the perfect accompaniment to that cozy holiday sweater! Our genuine rhodium finish is achieved using an electroplating process that coats the item with heavy layers of rhodium a close cousin to platinum which gives our jewelry a platinum luster.